It is important to understand that by definition; a SPOT can be removed, but a STAIN is permanent. HOW DO YOU KNOW IF A SPOT IS TREATABLE? Successful spot removal involves evaluation by our trained professionals to classify spotting substances. Spots are classified by whether they are insoluble, water-soluble, or can dissolve in solvents. Our technicians are trained and certified to use specialty treatments for all kinds of spots and odors. WHAT IS A CONSIDERED A STAIN? 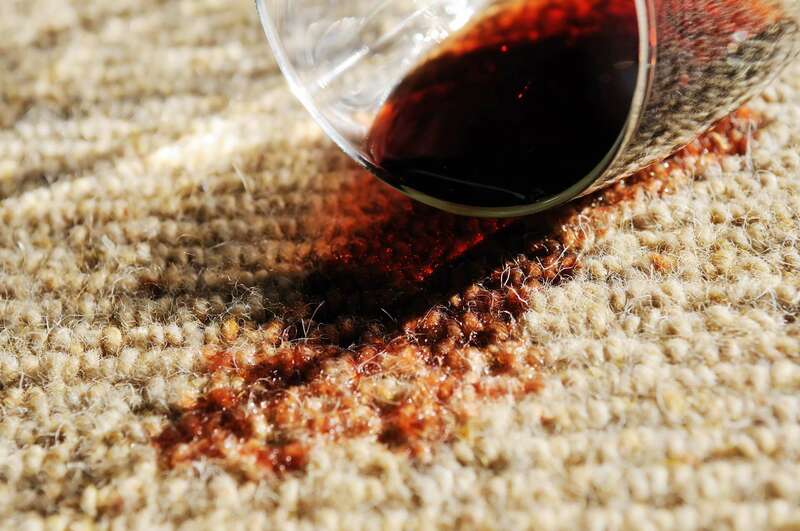 A stain contains dyes or pigments which are commonly found in Kool-Aid, fruit drinks, wine, coffee, tea, mustard, furniture stains, urine, pet vomit, mixed drinks and food products. Strong alkalies such as household bleach, bowl cleaners and peroxide are all strong enough to permanently stain the carpet fiber and/or carpet texture. While in most cases these types of stains are not usually treatable, our technician will do his best to minimize the appearance of the stain. Please visit our “Spot Removal Tips” page for some at home remedies for cleaning certain stains. **NOTE: Most consumers try to remove unsightly spots themselves. If a home remedy or over-the-counter product is used before we arrive in an attempt to remove a spot it can sometimes cause a discoloration that we can’t remove. Please consult our emergency spot cleaning chart for specific directions to use safely at home.